This certified pre-owned 2018 Porsche 718 Cayman in THOUSAND OAKS, CALIFORNIA might as well be considered a new luxury car. This car is nearly brand new. Get all of this for $82,898. With only 5,383 miles, it has plenty of life left in the tank. The vehicle has been equipped with Lane Change Assist, Heated Multifunction Steering Wheel, Seat Ventilation, Porsche Entry Drive, Navigation Module for Porsche Communication Management, Bose Surround Sound System, Porsche Connect PLUS, Porsche Premium Package with Power Sport Seats and more! Interested in this car? 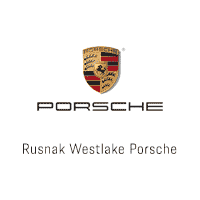 Visit Rusnak/Westlake Porsche to schedule a time to test drive the 2018 Porsche 718 Cayman.